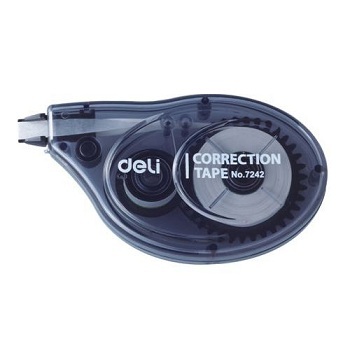 Correct me Deli... cious value correction tape roller. Handy, ergonomic roller dispenses dry tape for instant use. Size - 5 mm wide x 8m long. White. BEST SELLER. Liquid Paper Dryline Grip is quick and precise. 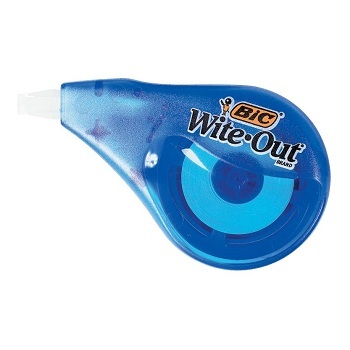 Most convenient method of correction available, rolls on instantly dry, ready to write over. The super strong tape resists breaking so you can correct mistakes in an instant. 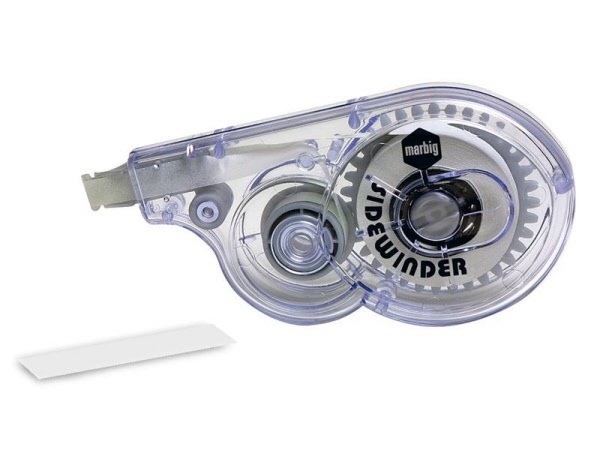 Attractive, ergonomic translucent casing to monitor existing tape length. 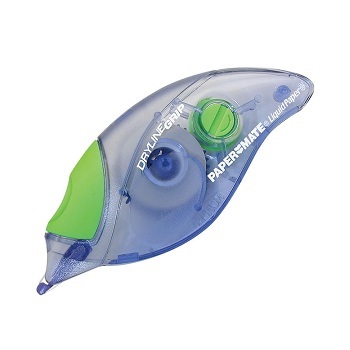 Liquid Paper Wideline Correction Tape is 30% wider than standard correction tapes. Specifically designed to cover handwriting. Ideal for use on ruled paper. Only one stroke, tape lasts twice as long. 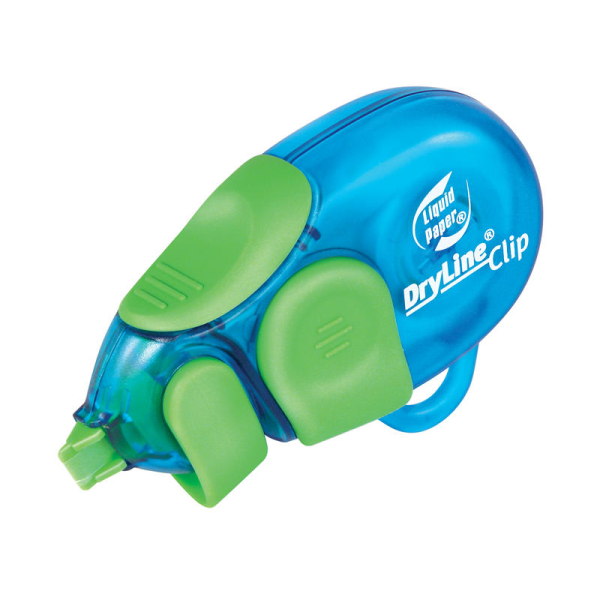 Liquid Paper Dryline Clip combines unique side application with ergonomic grip for comfort and control. Tip cover ensures tape protection. Conveniently clips to backpacks and binders. Super strong tape resists breaking and applies dry for instant correction. Translucent Blue or Purple barrel colours... fun for desks or pencil cases! 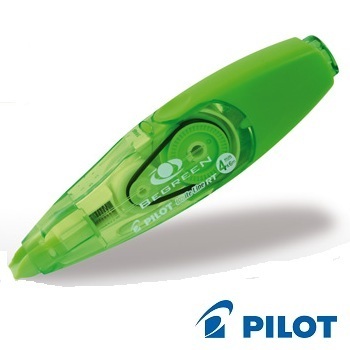 The Pilot BegreeN 'White Line' Correction Tape is refillable and has a clever, retractable function that prevents mess. The shaped barrel allows for a comfortable and accurate grip. Simple push button action retracts tape to protect when not in use. Can be written over immediately. Made from a minimum of 70% recycled materials from manufacturing. Size - 4 mm wide x 6m tape length. White. Refillable. Ergonomically designed, fits snugly in the hand for easy application. Features an applicator tip for greater control. Massage grip design for easy, comfortable use. Tape applies flat, dry and smooth for instant correction. 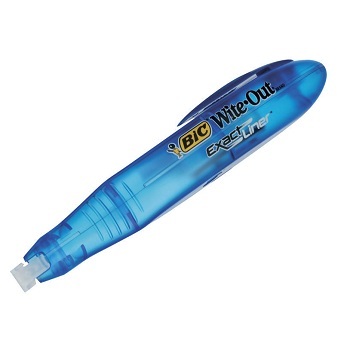 BIC Exact Liners pen style design allows for easier handling. With integrated grip zone, application is comfortable whether you are left or right handed. Film based tape with improved tape laydown. Slim profile with clip, for easy attachment to notebooks, binders etc. Ergonomic design fits snuggly in the hand for better control. 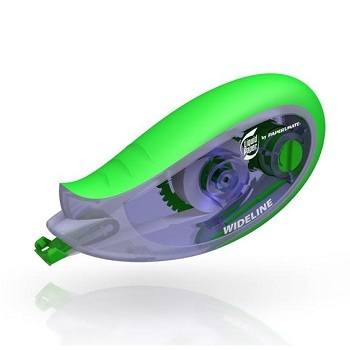 Side winding mechanism allows for uninterrupted smooth application.